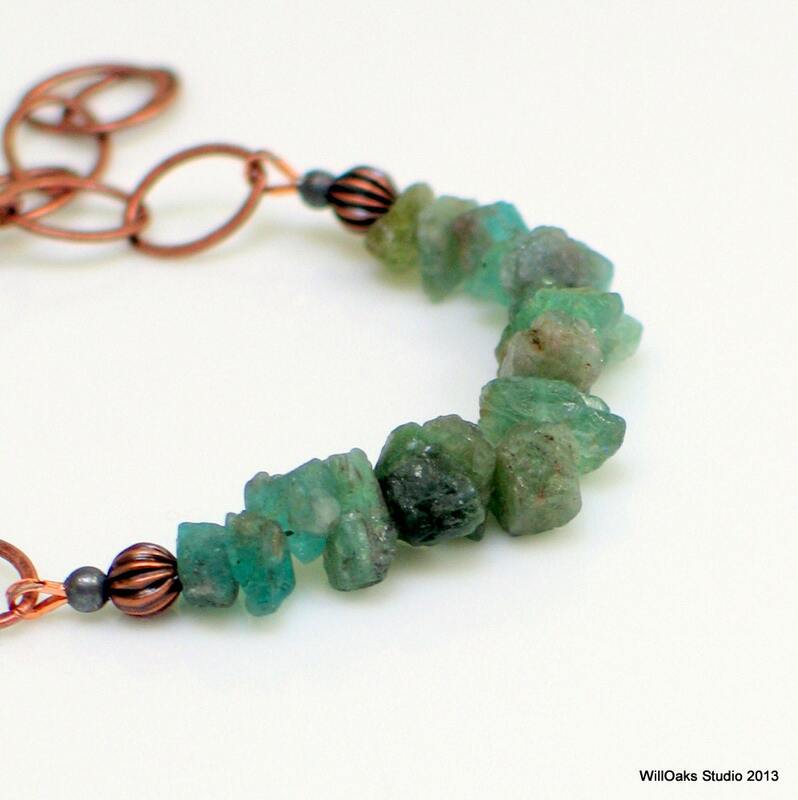 A rustic row of natural, unpolished Apatite nuggets in shades of teals and greens with browns mixed in are joined to a bold copper plated chain. A larger lobster clasp with a heart motif closes the bracelet between 6" and 8", so the wearing length can be adjusted as you prefer. Part of my "Stacked Stones" series inspired by mountain hikes, rock cairns, archaeology, rivers, beaches, geology, and rock climbing--all things I love very much. I've often labeled my work "Nature Fashion" and I think this series lands there very well. 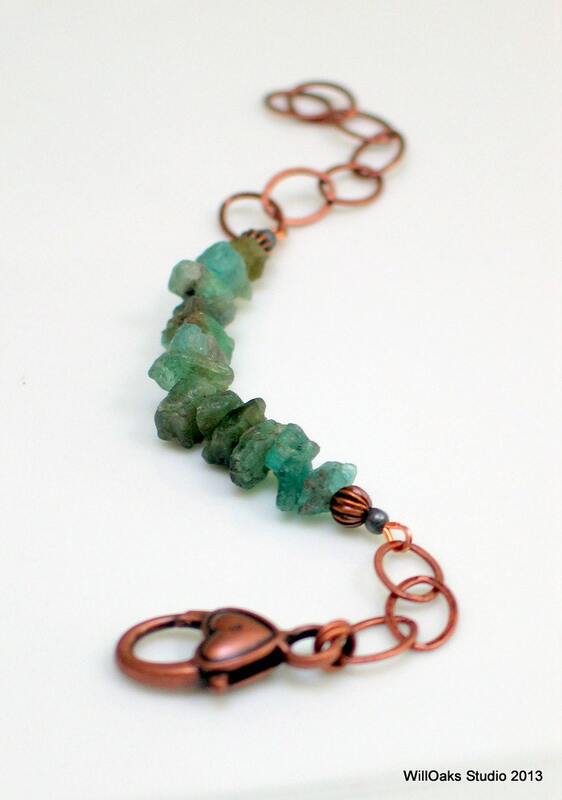 The total length is just over 8" laid flat and includes about 2 1/2" of natural, unpolished nuggets of natural stones on steel cable. "Accuguard" tiny metal findings protect the coated steel wire where it bends around the chain links for long term wear and durability. 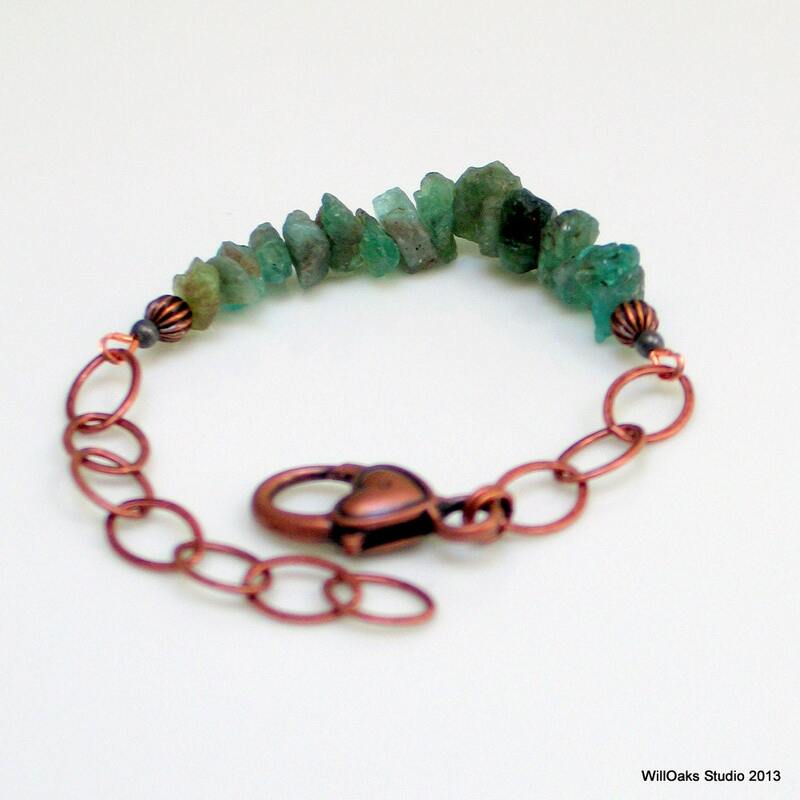 The oversized clasp adds some weight so that the row of stones will be counterbalanced on your wrist. 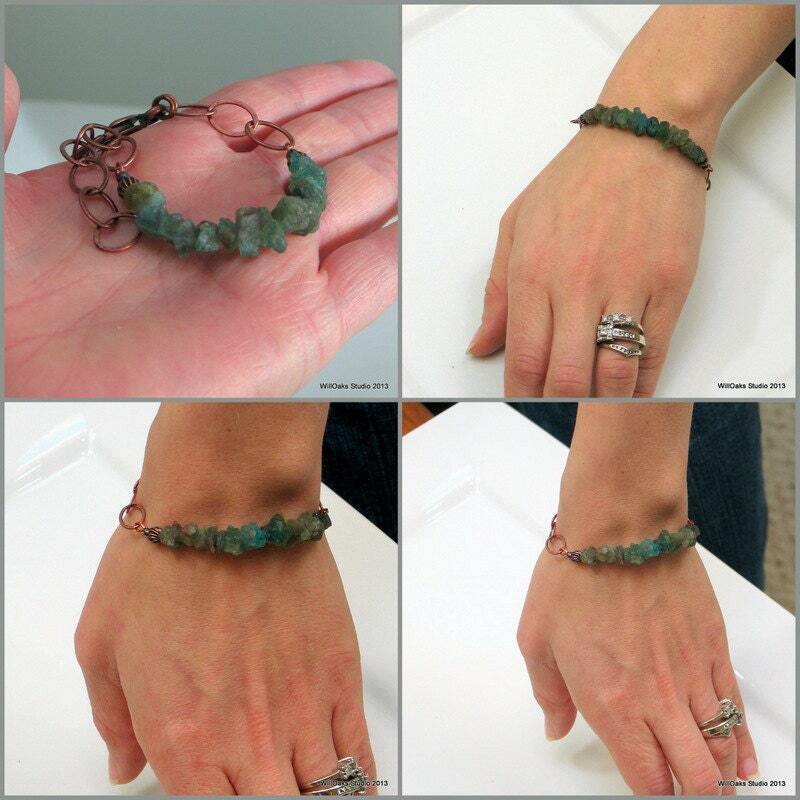 A unique and affordable gift for yourself or for a special woman on your list as this bracelet can be dressed up or down. 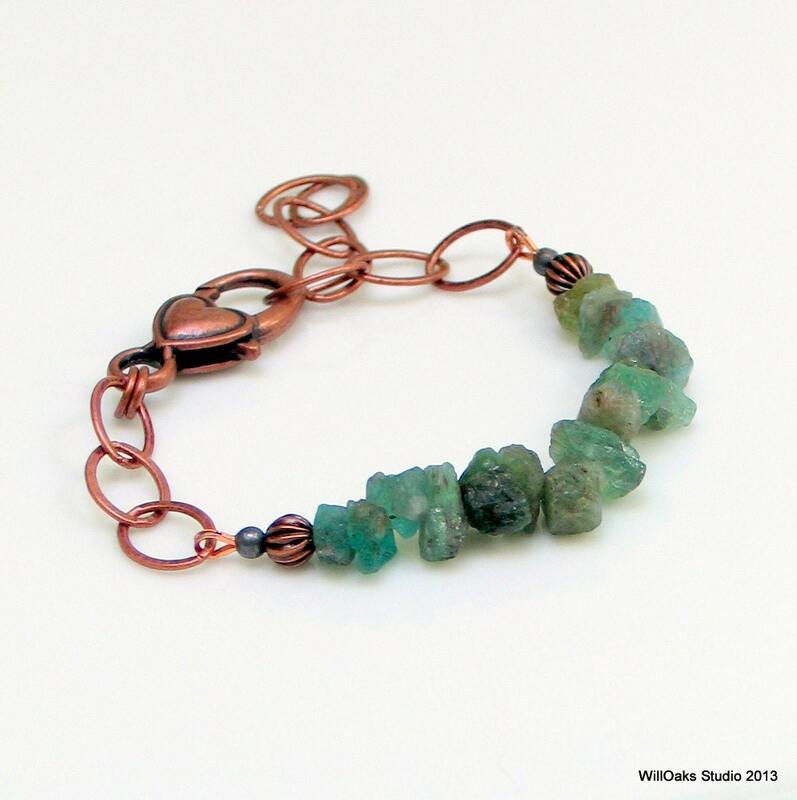 Bracelets are sent via first class mail in either a custom box or a velvet bag, all ready to give.